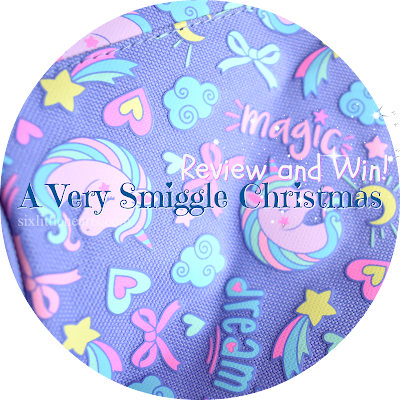 Six Little Hearts: A Very Smiggle Christmas Review and Win! A Very Smiggle Christmas Review and Win! 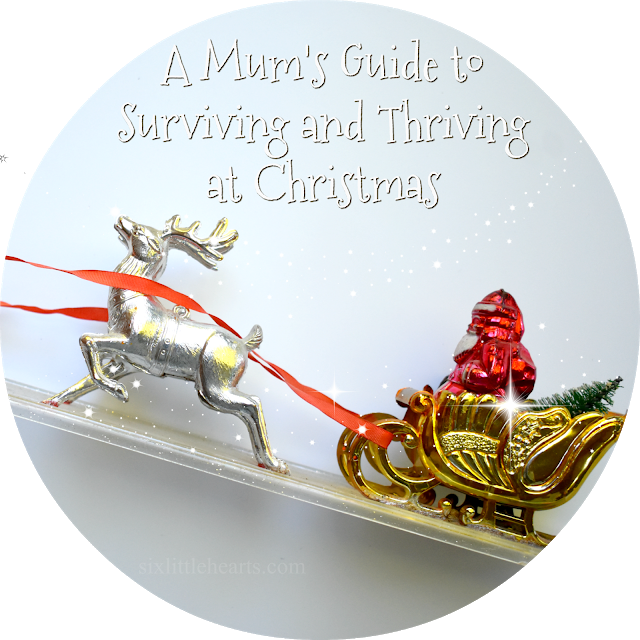 Christmas time is creeping ever-closer and the heat is on to fill those empty stockings with all manner of goodies. 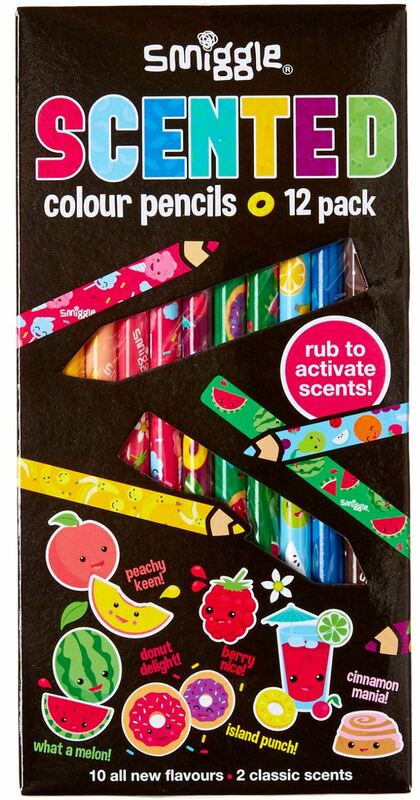 Each year we rely on the stationery and fun available at Smiggle to make our children's Christmas merry. It's always a delight to shop the gadgets and gift ware for all ages in this most popular of stores. 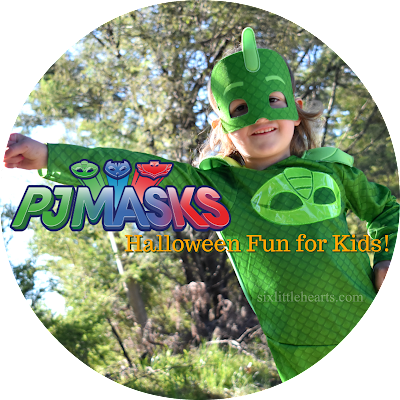 The Hoodie Junior Character Backpack from Smiggle. If you're anything like me, you'll be wanting gifts for your kids this year that are both fun and practical - something they can use and enjoy is ideal. 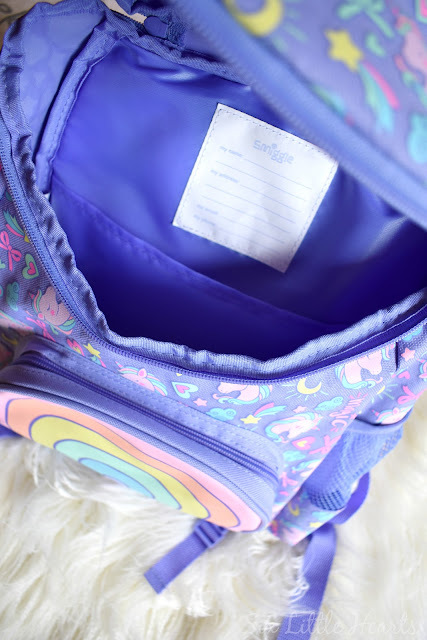 A Smiggle backpack fits this profile perfectly. There's always a selection of funky designs, colours and styles to choose from when it comes to bags at Smiggle. How cool is this pretty Smiggle Hoodie Junior Character Backpack in Lilac? This is sized to meet the needs of younger kids from kindergarten to primary school. It's roomy but not too large making it a good choice for use as a swim bag, school bag, travel bag or everyday bag. It features quality zippers, a bright rainbow front pocket and a generous interior with a large pocket and easy-to-find ID label. This Christmas, gift a great Smiggle backpack that your child can use for school in the new year, and why not make light work of it for yourself and knock-off some of your kids' 2019 school stationery needs while you're at it? 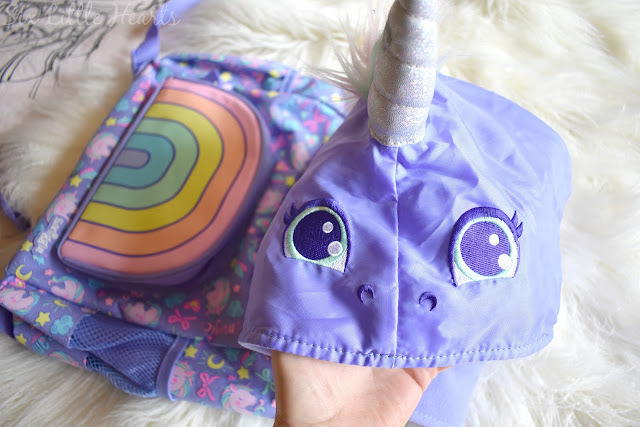 Open the special zippered pocket at the rear of the backpack to uncover a super-fun unicorn hoodie which is fully lined and highly detailed. Kids can slip this over their head to protect themselves from the elements, or wear it just to play and enjoy. This backpack is one of several currently available on the Smiggle website. You can view their range of backpacks here. This fun backpack is also available in a mid-blue Shark theme. RRP $54.95. 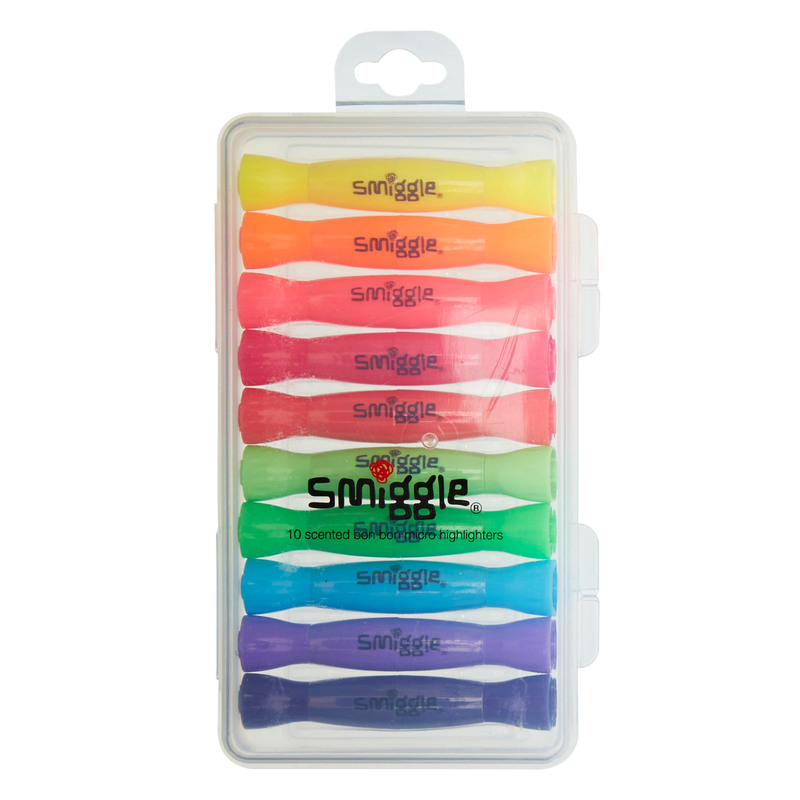 Visit Smiggle online or in store to purchase your kids' school holiday needs too. 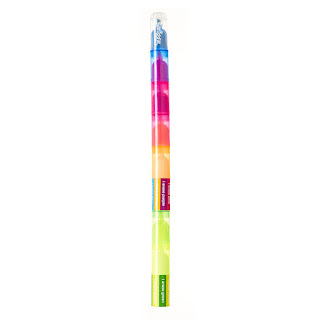 Keep them entertained on the hot days this summer with these Colour Change Markers RRP 19.95 or Smiggle Glitter Markers also RRP $19.95. 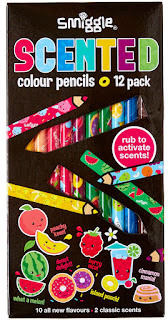 These markers would be fab for making Christmas gift tags, cards or New Year decorations. Christmas stocking stuffers and more. 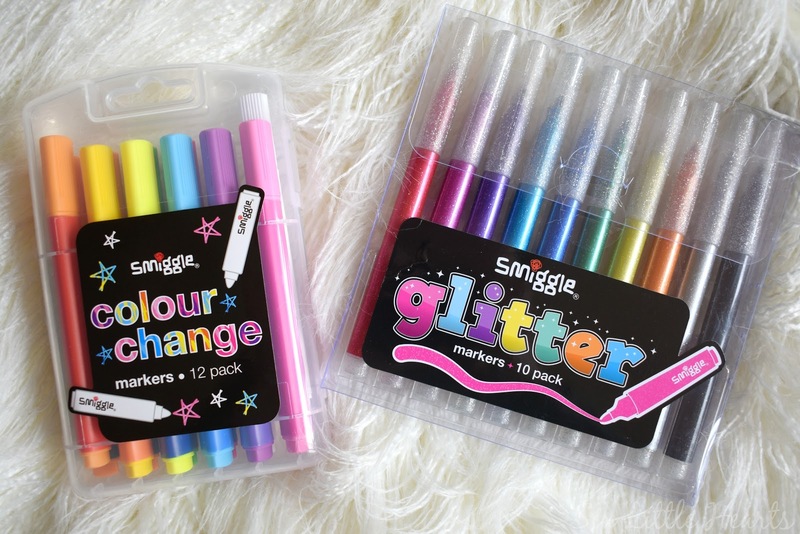 WIN a Smiggle Stationery Gift Pack for Christmas valued at $66! Comment on this post and leave your name inside your comment box. Fill out the short Rafflecopter form below with your details to win! Promotion ends 7th Dec. 2018. Lovely Prize! Those glitter markers in the review look great too! Perfect for making Thank You cards after Christmas! I want a new TV for Christmas it's on my wish list because the picture tube is going in mine half the screen is blue so I only get to see the right side of the movie. For Christmas I’d like a massage voucher! A long relaxing massage hi ho! At the top of my wish list is a new hair straightener - for the odd occasion I get to spend some time on myself! I would love a tropical island getaway with my fiancè, kid free. Would love to relax, sleep in, be able to read more than a couple of words of a book and be able to eat without having to share with the little people. Nice prize, my girls woulf love it. This christmas i dont want much, just great health. And a day with my friends and family. Lots of stories being shared, and memories being made. This year I'm ridiculously excited to be getting a copy of "Becoming" by Michelle Obama. I can't wait to read it, and was so thrilled when my sister rang and told me she bought me a copy. This will be my downtime over the holiday break. I'd love a nice bright coloured hammock next to a new inground pool... or at least a bucket to fill with water and dangle my feet in. I've been so busy and so stressed I'd love a sit and relax and a place to hope for a better new year. I want my little one to have the most special first Christmas ever. I would love to make memories with the whole family and have a day filled with joy, laughter and Christmas music. After a busy year I just want some rest and relaxation! I would settle for a pack of those glitter markers though! A one hour massage so I can get those knots and crunchy bits rubbed right out of my system! And I’ve resisted temptation to snoop! Plus who doesn’t love a gift that gives?! It’s eggs all year-round for me! But I am a busy working mum. One that will clean my house, do the cooking and the washing! A day filled with love and laughter...and lots of fun! I want exactly three things this year and I am hoping Santa comes through, because I have tried so hard to be good! I want an e-reader because my book collection is now being challenged by the book collection of our teenagers (bonus: I get to read loads of YA fiction!). Then, I want a few bath bombs from lush- the scented, bright and glitzy kind and JUST FOR ME! The final thing? I want a monthly voucher for a solid hour of uninterrupted bath and reading time. No knocking on the door, no wandering in, no yelling out to me through the door- just a little bit of shushhhh. And if someone were to add a bonus glass of wine at the start of these hours, I would not be averse to that. A mama can dream, right?? This smiggle pack is so gorgeous btw- love the unicorn!!! For Christmas this year I want to have our family all together to celebrate <3 I'd also love the gift of sleep - even just a few nights of an 8-hour block in the new year would be very much appreciated! Maybe Santa could babysit when the Christmas rush is over?! And being filled with lots of gratitude! But seriously, just a fun-filled day with good food, and good company. Every time I pass a Smiggle store I smile because I know they are fun places for kids to visit. Thank you for linking up for #lifethisweek. Next week's optional prompt is Taking Stock. Denyse. I want at least a few days off work from my boss so i can be at home with my family to watch my girls open their presents. My boss is playing hardball but I'm hoping he will come good. A night away at a posh hotel all by myself! I can hit the spa, order whatever I want from the room service menu, read a book, have an uninterrupted sleep and then breakfast in bed! I know a certain 8 yr old girl who would scream for joy over this prize pack!!! How amazing good luck everyone purple really is a beautiful colour. I want to make an old person smile. I am working on Christmas day as a nurse in a nursing home. If I can make a difference to one of those residents then that will be the best present ever. I'm being selfish here and saying Jeffery Dean Morgan. 😍😍😍 Hubba hubba! 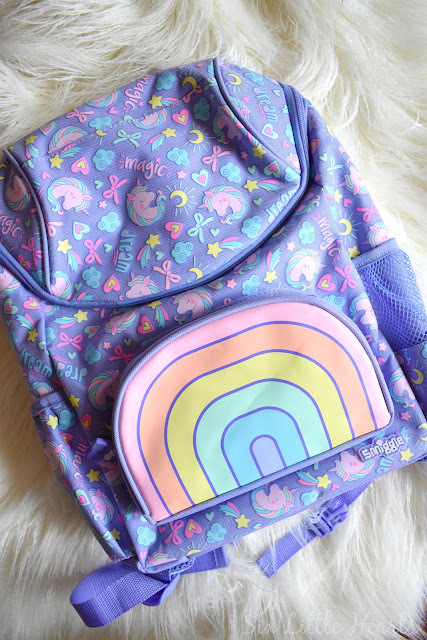 Love this pack, my daughter is Smiggle and Unicorn CRAZY!! I’d love to gift this to my nieces as their mum is a single mum and often has no option to be able to buy goodies like smiggle for her girls. One is starting high school next year, so would be a lovely start for her! Peta-Lee Bartlett. I would love some new plants for our gardens. I have recently discovered a love for gardening and am keen to grow our gardens into a lush green paradise. A miracle. Otherwise I'm quite happy to settle for a happy, healthy family by my side. (with maybe a smiggle gift pack under the tree). on Christmas our spirits will lift! I'd really love some snow or cold weather please. 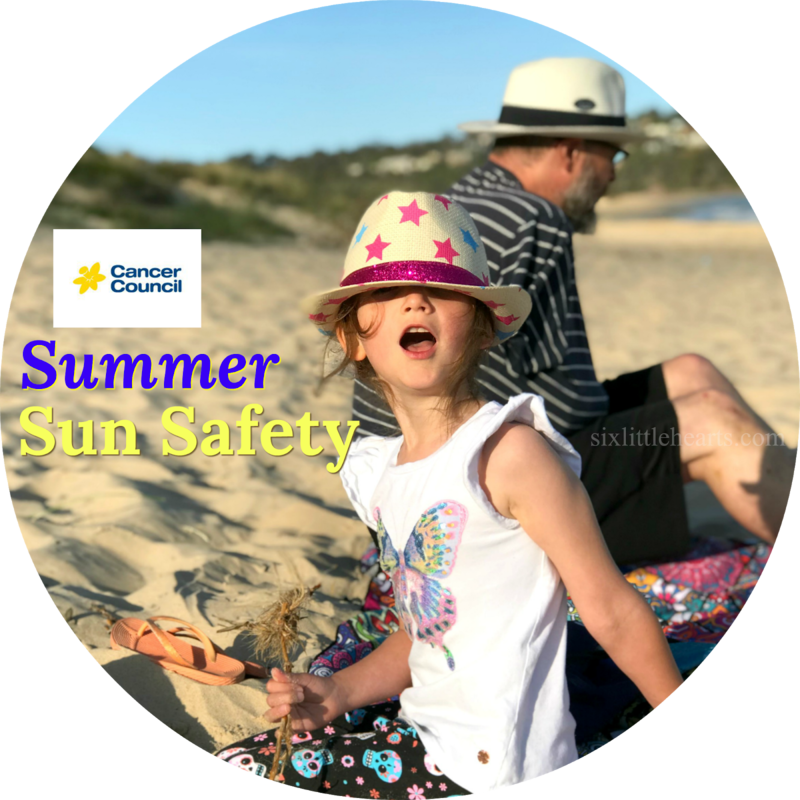 For Christmas this year I want nothing less then for my family and friends to be safe and in good health so that they may enjoy happy and fulfilling lives. My dream Christmas present would be my own home office, decked out with awesome craft and stationary supplies. I’d really love my own home ♥️ I would pass this onto my daughter to secure her future and give her that head start in life and so she can pursue her dreams. For Christmas this year ,i want to bake cupcakes and cookies for the people in Aged care and add lots of joy to their Christmas morning. My kids are also helping me in painting greeting cards for them so that we can spread the true meaning of Christmas which is in sharing happiness. Either a new mouse (computer) or a nice fruit tree, like mango!